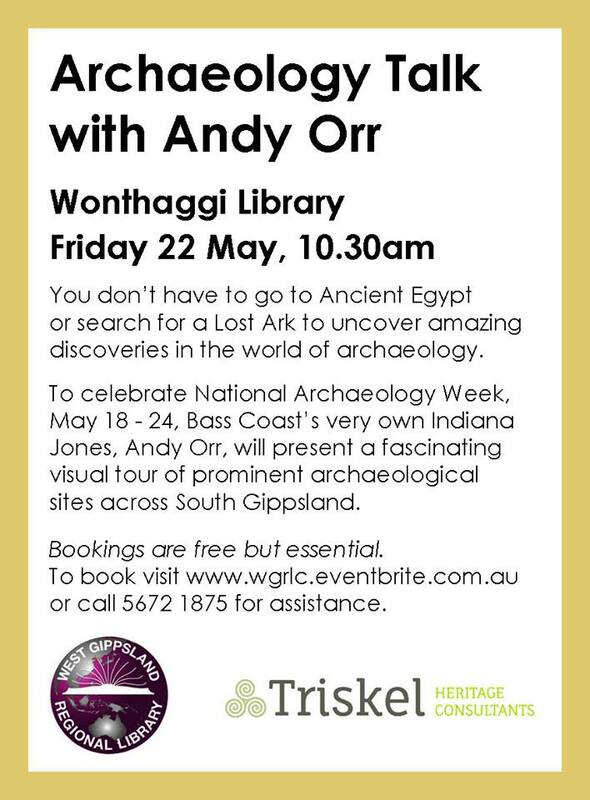 Andrew will be presenting a talk at Wonthaggi Library on the 22nd of May discussing archaeology in South Gippsland. 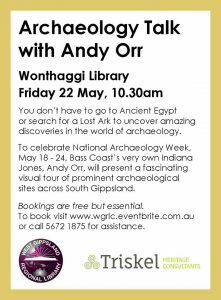 This talk is in conjunction with National Archaeology Week. Come along and join him.